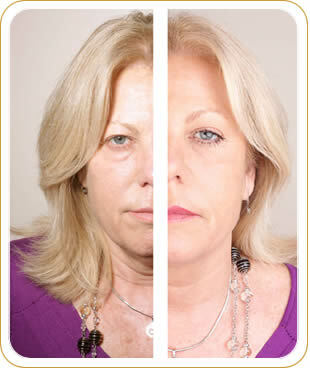 Faciallift is an instant face lift cream / serum that gives dramatic results. It lifts, tones and firms the face, leaving the skin refined, smooth and radiant for a fresher more youthful complexion. Expect to lose up to 10 years from your face instantly. Faciallift comes luxuriously packed in a 3 step treatment along with the professional mask brush for easy use from the salon to your home. Faciallift is a combination of mineral powders, enzymes booster, and fruit extracts, that work their wonder to gently stimulate circulation and increase blood supply to restore the skin's muscle tone and elasticity, leaving the face looking fresher, firmer, brighter and a more youthful, even, well-balanced complexion. 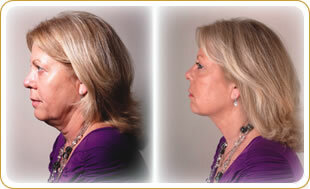 Apply Faciallift twice in the first week and thereafter monthly. 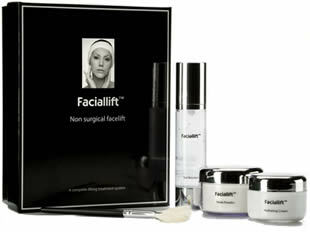 Faciallift is a three part treatment and is best applied in a relaxed atmosphere at home. To apply: 1 teaspoon of gel booster, 1 teaspoon of the masking powder, mix to a paste with the masking brush provided, use upward and outward strokes on the thoroughly cleansed skin on the face and neck and hands if you so wish. Please avoid the eye and lip area; avoid any facial movements as the product dries. Leave on for 30 minutes. The Faciallift non-surgical face lift cream will dry and you will experience a tightening followed by a light pulsing feeling; this is quite normal and is a sign that it is toning your skin. Remove with warm water and a cosmetics sponge and finish with the hydration cream leaving your skin super soft and perfectly balanced. There are 12 instant face lift treatments and so one product could last for almost a year.